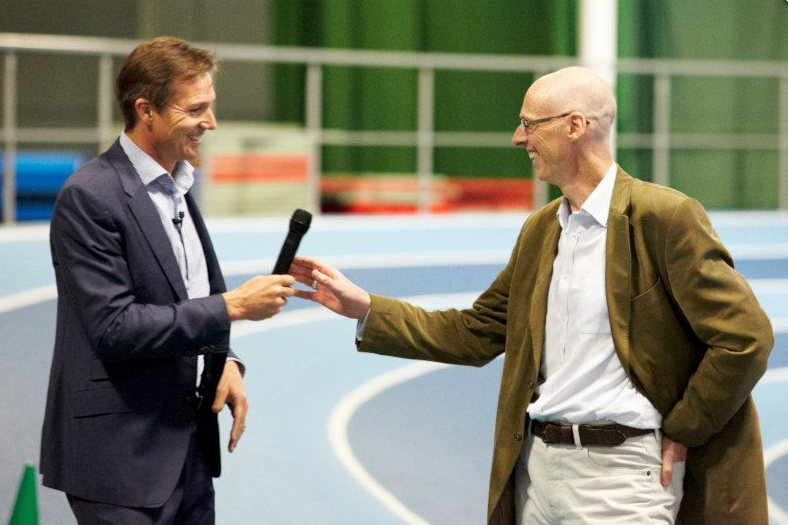 It was a real pleasure earlier in June to be invited to Westfield Health's internal Comms Day. The day is designed to give Westfield staff an opportunity to learn and gain knowledge about various company activity. Feedback on the day itself was very positive with everyone involved having input and as far as I could tell everyone seemed really upbeat and excited but the prospect of the future. Professor Steve Hake was the guest speaker and enthralled his audience with a superb talk about social health and wellbeing, along with some shocking facts about lifespan and 'healthy lifespan' disparity between different demographics. PE Creative were in attendance because we produced all the voxpop videos and presentation material used on the day. 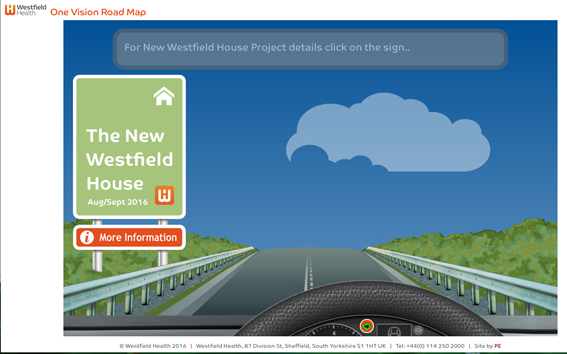 We were also able to help by creating and unique microsite illustrating the Westfield timeline for activity. 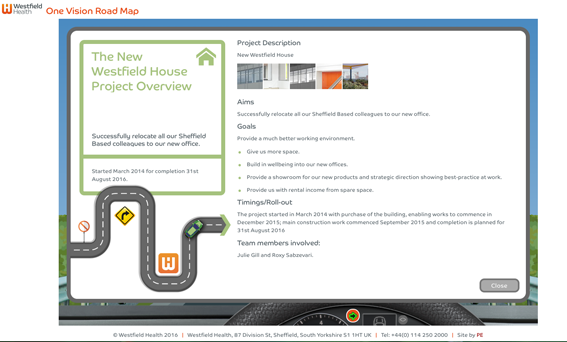 This interactive tool allows staff to see who and what is happening within the Group as well as being able to feedback to the HR department. HR Manager Fiona Lowe commented "Thanks for all your help Jonny, its been a fantastic day and feedback is really great"
As a special guest it was a real privilege to have been invited and it gave me an insight into the culture and background of the Group, which will prove essential for future projects. If your organisation wants to improve its internal commas then feel free to contact us on 01332 291141 and we can help with your event.